Emergency vehicles surrounded the plane Tuesday night. 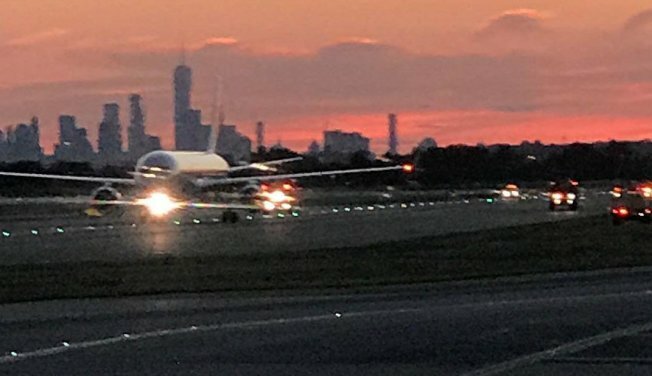 A plane experiencing mechanical problems landed at Kennedy Airport on Tuesday evening, officials said. The American Airlines plane landed at the airport sometime before 9 p.m.
A number of emergency vehicles were seen on the taxiway after the plane landed. Officials said the emergency response was as a precaution.